​Transmitted by Dermacentor spp. (Dermacentor andersoni and Dermacentor. variabilis in the United States). 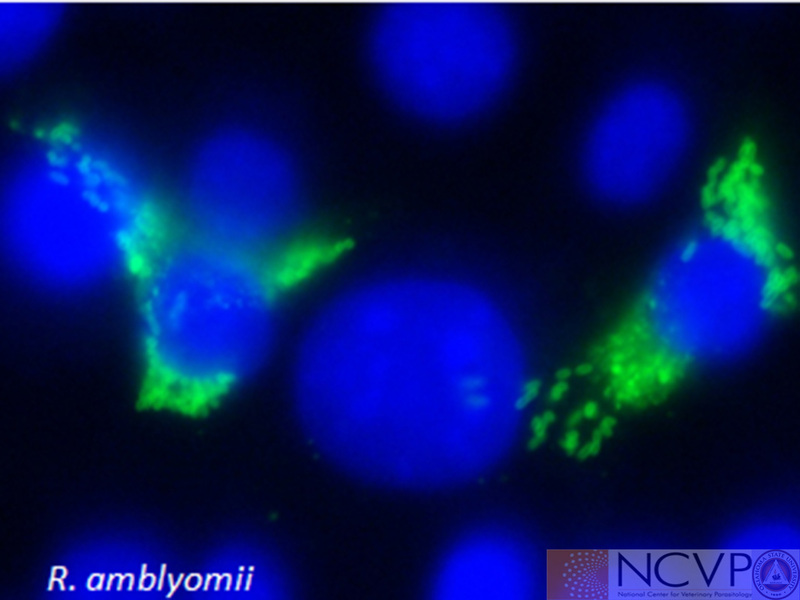 Romanowsky stained bovine erythrocytes containing Anaplasma marginale, which are dense, homogeneously staining blue-purple inclusions 0.3-1.0 µm in diameter that are typically located toward the margins of infected cells. Transmitted by Ixodes spp. (Ixodes. pacificus and Ixodes. scapularis in the United States). 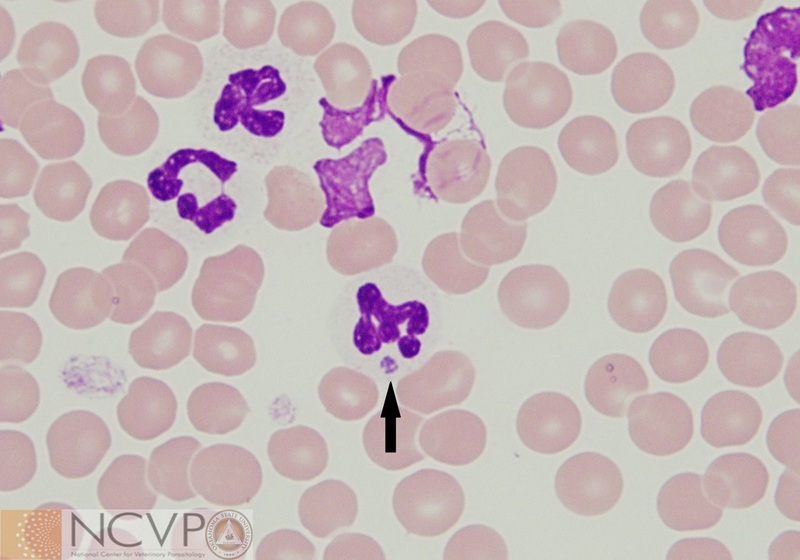 Romanowsky stained canine blood smear containing morulae (arrow) of Anaplasma phagocytophilum within a neutrophil. 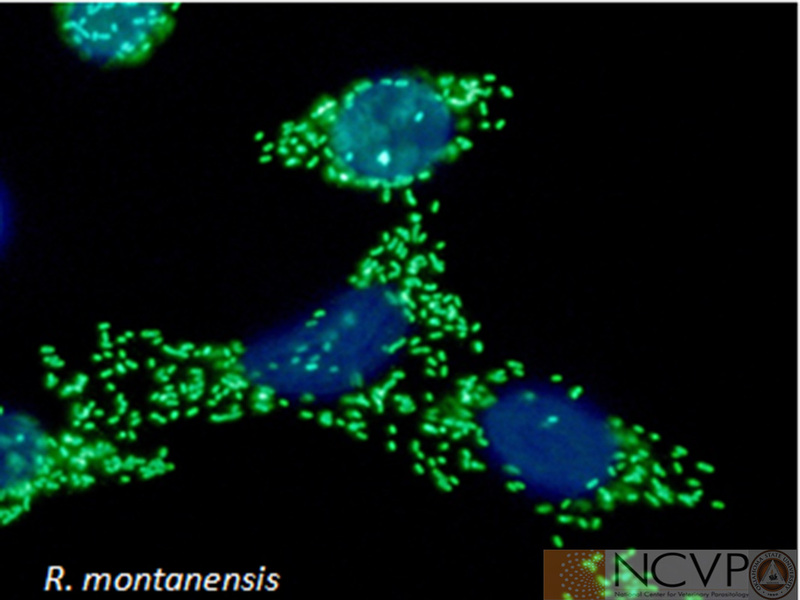 Infections with Anaplasma phagocytophilum are most common in the northeastern United States, in the upper Midwest, and along the West Coast. ​Transmistted by Rhipicephalus sanguineus in other parts of the world, which is the suspected vector in the United States. 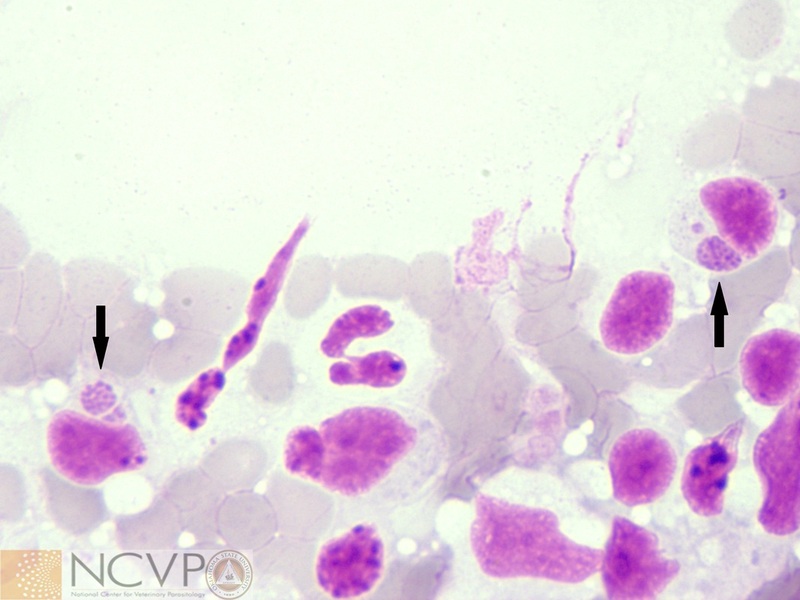 Romanowsky stained canine blood film containing Anaplasma platys (PCR confirmed), which are intraplatelet organisms within vacuoles. Transmitted by Amblyomma americanum. 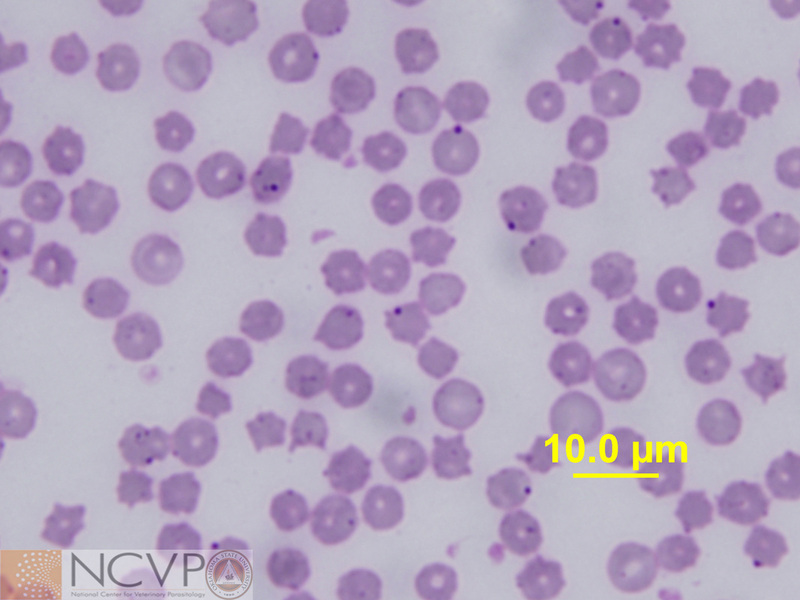 Romanowsky stained canine blood smear containing morulae (arrow) of Ehrlichia ewingii within a neutrophil. 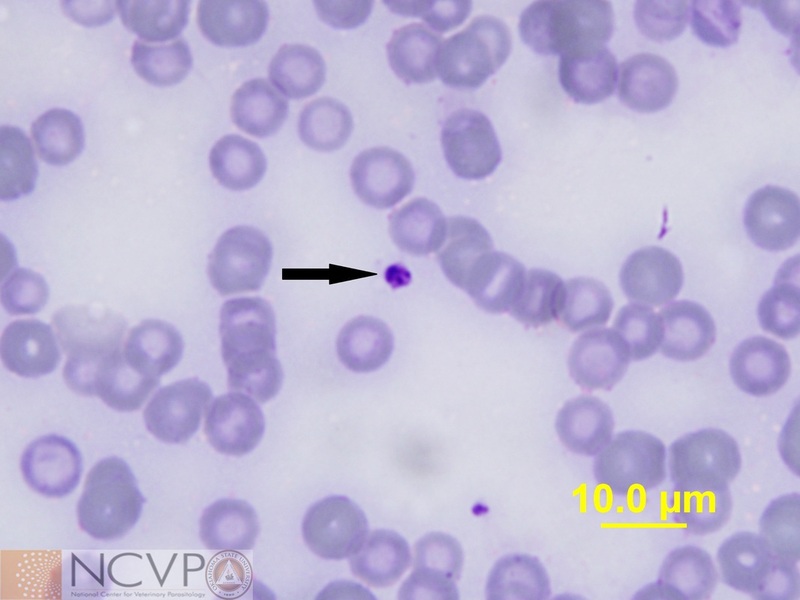 Infections with Ehrlichia ewingii tend to be clinically milder than with Ehrlichia canis, and are most commonly seen in the middle southern United States. 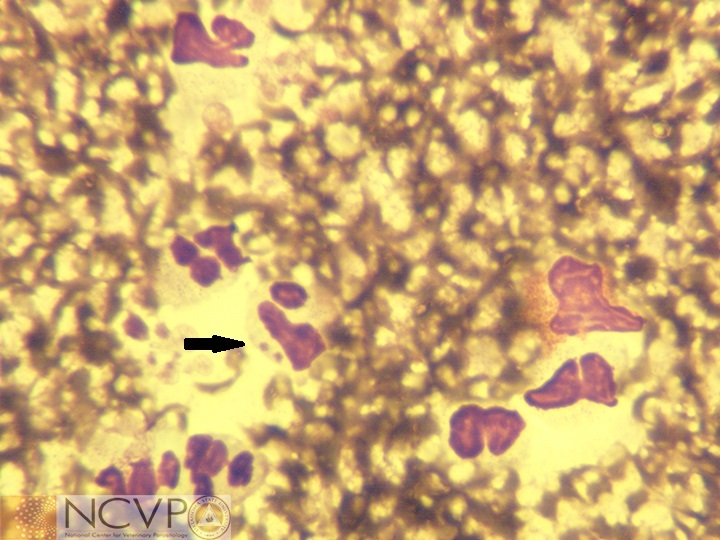 Spotted fever group Rickettsia spp. are transmitted by a number of different tick vectors, including Amblyomma americanum, Amblyomma maculatum, Dermacentor spp., and Rhipicephalus sanguineus, and are obligately intracellular organisms. Photo kindly provided by Dr. Ed Shaw, Oklahoma State University. 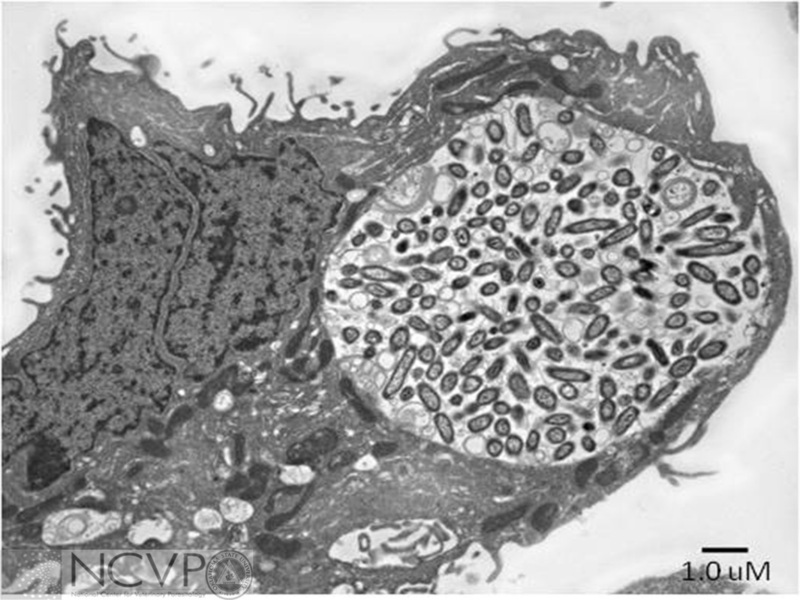 Electron micrograph of Coxiella burnetii within an IDE8 cell. Photo kindly provided by Dr. Ed Shaw, Oklahoma State University. 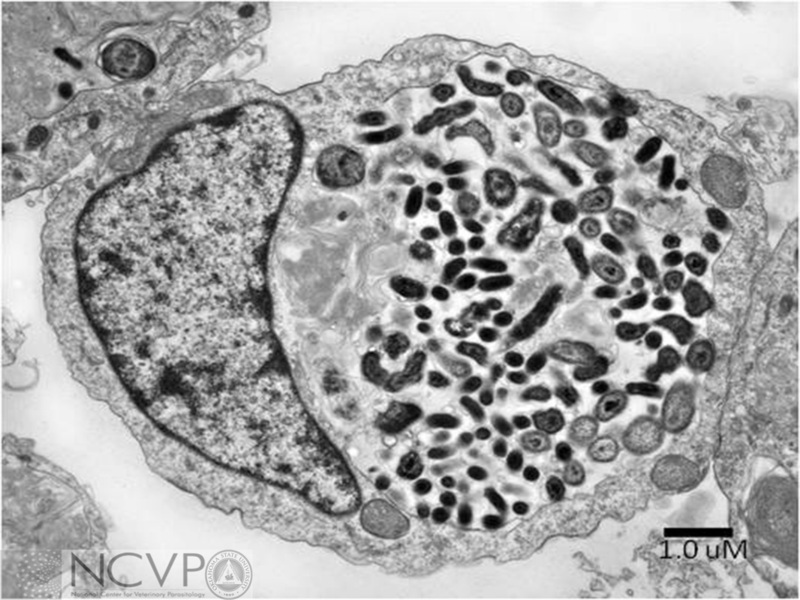 ​Electron micrograph of Coxiella burnetii within a VERO cell. Photo kindly provided by Dr. Ed Shaw, Oklahoma State University.